From clean, classic lines to dramatic, winged cat eye flicks, Gabriel Zuzu Luxe Liquid Eye Liner: $14.85, can help you achieve the look you love. Featuring a smooth, fluid formula and a fine, firm sponge tip this calligraphy style applicator is the secret to a flawless line. 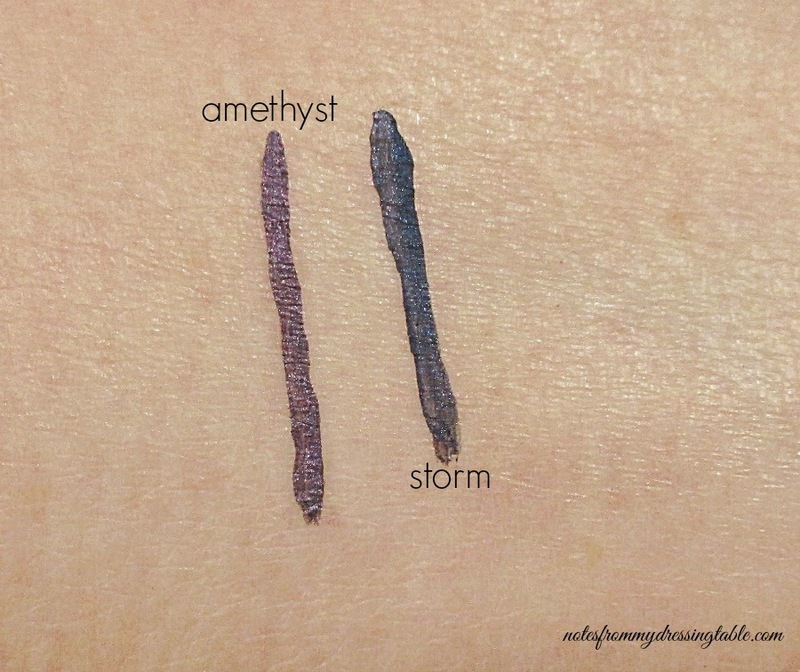 I have two shades, Amethyst, a beautiful purple with a silver shimmer and Storm, a stunning dark greyed blue with a bit of shimmer. The jojoba oil enriched formula of this liner ensures a smooth, even application and is supposed to help to keep the delicate skin of the eye lids in better condition, too. I haven't worn these enough to testify to that latter claim. I can say that these liners are silky, fluid and easy to apply. 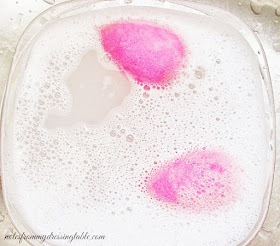 They dry quickly and I get all day wear with no smudging, smearing, or flaking. I have hooded eyes and there is no transfer from the lash line to my lid. I don't experience any irritation. I'm working on it and as long as I keep it simple, it's not hideous but I don't think it's blog-worthy, yet. 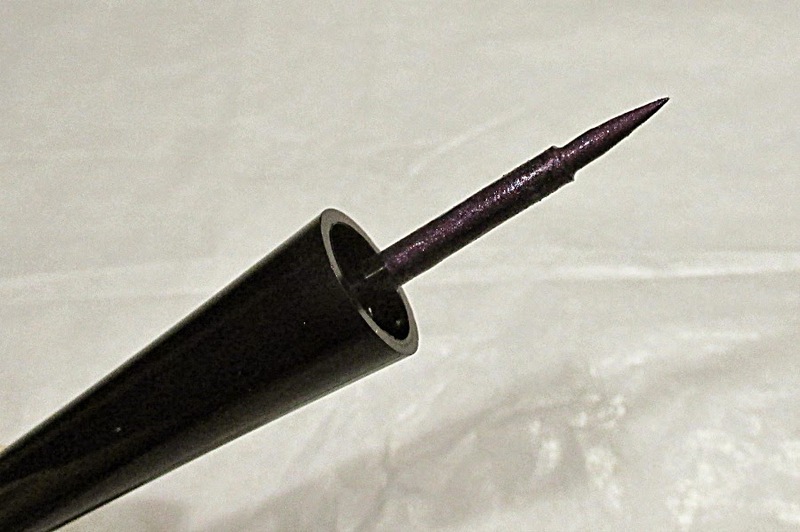 Gabriel Zuzu Luxe Liquid Eye Liner is cruelty free, vegan and gluten free. Check out the Gabriel Cosmetics for a wide range of beautiful, high quality, cruelty free, gluten free and vegan beauty products. Follow Gabriel on Facebook, Twitter and Pinterest. 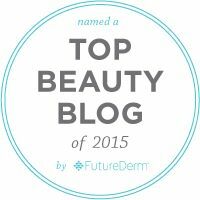 Do you use Gabriel cosmetics? 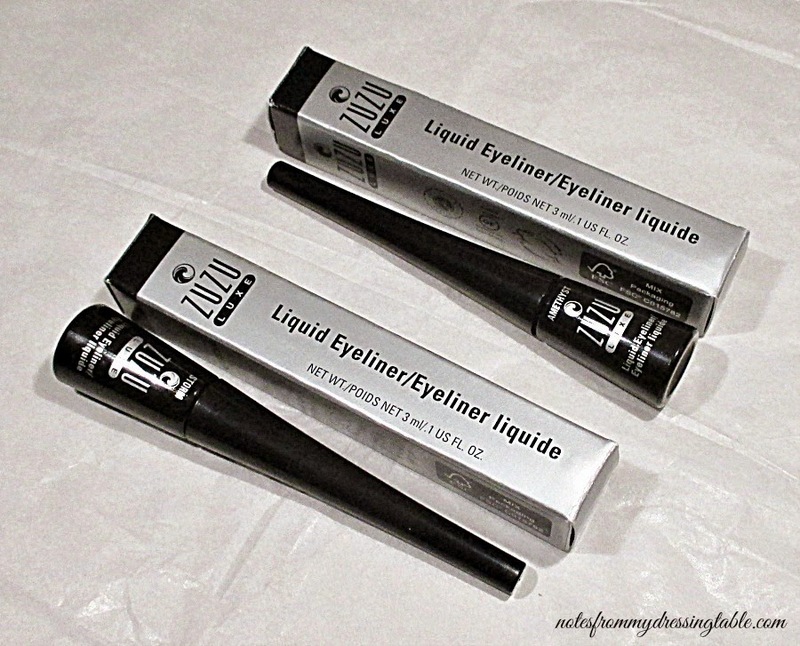 Have you tried the Zuzu Luxe Liquid Eye Liner? What do you think of it? Please share. I'm never really good with these type of eyeliners so I would probably pass on picking one up. Never heard of tried the brand too. Oh wow, Amethyst looks like a beautiful color! I'm actually really bad at applying eyeliner unless it's one of those gels from a pot. 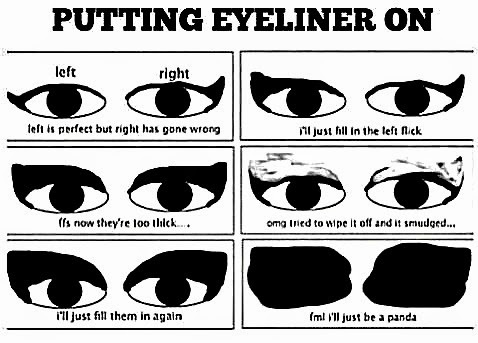 I feel ya with the eyeliner graphic. I'm getting better, but getting both eyes to look the same takes a little time and effort! They'll never be twins, but working on sisters! lol. These colors are so pretty. I love a purple liner. Oh, I feel you. Liquid liner and I are bad bedfellows. I'm determined to get good at a nice, classic, clean line, tho. We'll see how it goes. That purple would look so good on you. The storm is gorgeous! It would work with your colouring. I do alright with gel, too. For some reason I find it really easy to use. Liquid should be the same... But it's not. I can foul up my face so fast with liquid. But I'm going to keep working at it. LMAO I love your graphic! I am loving the look of Storm!